As many of you know, I am moving. Yes, the day has finally arrived and I will be off the grid for at least a week. I’m not sure how I will survive but I did want to talk about my new book, ‘Isle of Night’, one more time before I’m off to complete the arduous task of an 1100 mile journey that will take me to my new home. 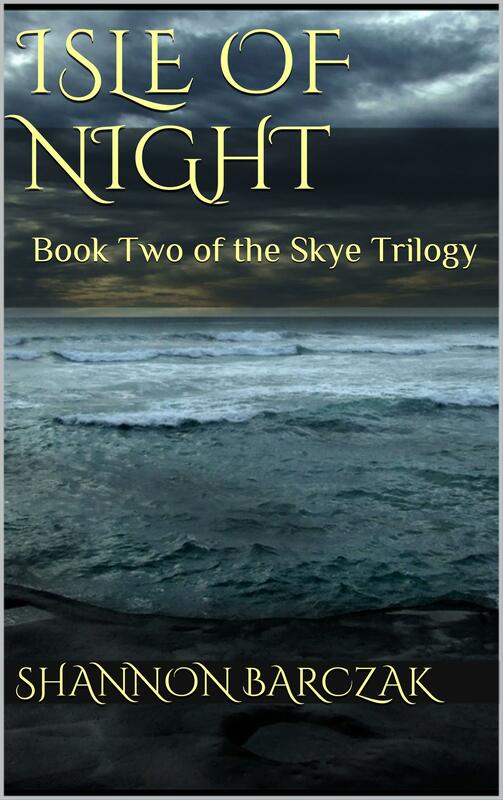 The other day I sat down and read ‘Isle of Night’ from start to finish. No notebook. No pens or pencils. After editing for the third time, I wanted to try to absorb it as a finished novel. It’s important to do this even if you’re not done editing yet. I think you can so caught up in the whole process of editing and revising that you sometimes lose sight of the big picture. I was amazed at how different the book appeared to me. I have been so obsessed with editing every word and every punctuation mark that I haven’t really let the story come together as a whole in my mind yet. I also got very excited. I really love this book. From the first sentence to the last, I had a big grin on my face. To be honest, I have no worries now. I could care less if a friend or family member reads some of the steamier scenes and thinks ‘Oh my God, Shannon wrote this’. Those fears are now behind me buried deep in the past. “Isle of Night’ is a really good book. I know I shouldn’t say that. I realize that it sounds like I’m being over confident about my story but I can’t help it, I think it Rocks the Casbah and then some. Yes I did just reference ‘The Clash’ song from the eighties. Like my character Willa, I too, will break out singing one or two lines from songs every now and then. I really wanted to also include some of the songs that influenced me while writing ‘Isle of Night’. I love music. I listen to all kinds of different genres depending on my mood every day. I also thought it would be fun to tease everyone with the songs that set the tone for the book. Each one is a reflection on how I was feeling and what I imagined was playing in the background of the book when I wrote certain scenes. Listen to them, get in the mood and more importantly get ready for book two’s release on March 27th! Last but not least, is the song that inspired me to write this story from the beginning. Love it! Loved all of it and I think you’re awesome. Big hugs !